March 21, 2014 by Ecommerce News. About Launch, Online store with tags France. 8679 views. H&M has expanded its online territory by launching an online store in France, which makes it the tenth market for the Swedish retailer to have an online presence. Of course French customers can shop for a wide range of clothing and accessories, but with H&M Home they can also shop online for home goods. The French H&M store is online since a couple of days and a lot of local fashionistas have already gone berserk. The launch of an online H&M store in France was announced in a tweet on January 30. Back then it was already clear it would also launch its Home line. H&M est heureux de vous annoncer l’arrivée de la vente en ligne et du concept Home en France au printemps / été 2014 ! “We are very proud and excited to launch online shopping in France. 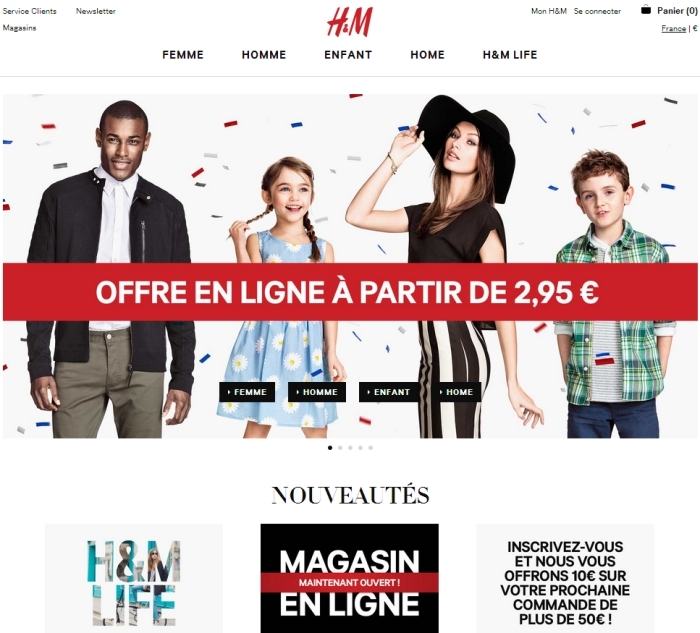 It is a fantastic way to offer our French customers twenty four hour access to the best of our fashion and home collections via their computers, smartphones and tablets anywhere in France” says Thomas Lourenço, H&M France Country Manager. Thing are going well with H&M, as the international retailer saw double-digit sales in the fourth quarter of 2013 (13%), as well as over the holidays (10%) and in the first quarter of 2014 (12%). H&M attributes its growth to the opening of several new stores – 374 since February 2013 – and it has plans to open several more in the upcoming months. We’re curious about what the launch of the French online store will do with the sales of H&M this year. The retailer now has an online store in France, Sweden, Denmark, Norway, Finland, Germany, Austria, The United Kingdom, The Netherlands and the United States.